Seddons Plant & Engineers Ltd has introduced two brand new Honda 110V Portable Generators to offer reliable and ultra-quiet power generation. The new models are particularly suited for use by sectors including the Emergency Services, utilities and rail and transport. 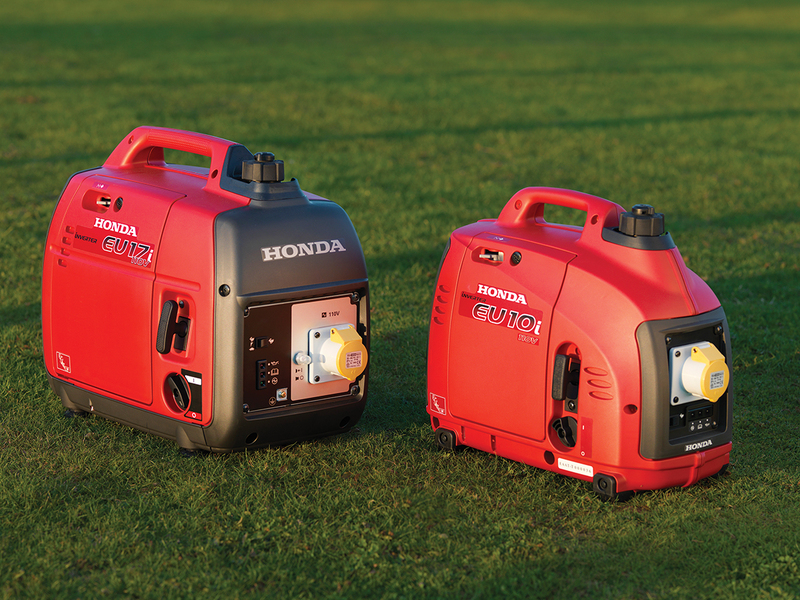 The Honda EU10i 110V model delivers 0.9kW of clean, quiet electricity to power sensitive electronic equipment, whilst the Honda EU17i 110V model delivers 1.7kW of smooth, clean power for more demanding applications. Both the Honda EU10i and Honda EU17i are ultra-quiet in operation and the fully enclosed, sound reducing casing keeps noise down to just 52 decibels at 7 metres, which is quieter than normal conversational speech. Rubber feet minimise vibration and movement and Honda’s state-of-the-art Inverter technology allows the EU10i and EU17i to remain much smaller and lighter than comparable models, allowing them to be super portable and carried with ease.